In 2012, MCSC successfully launched the first-ever online search party, the ‘World’s Most Valuable Social Network’. 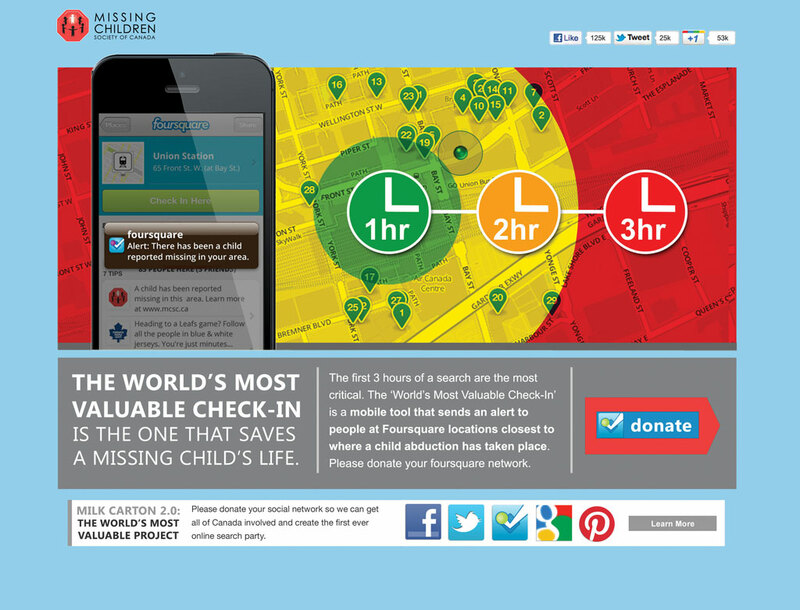 They now had a way to alert the masses, but wanted to reach those most likely to report a sighting – people nearest to where and when a child went missing. 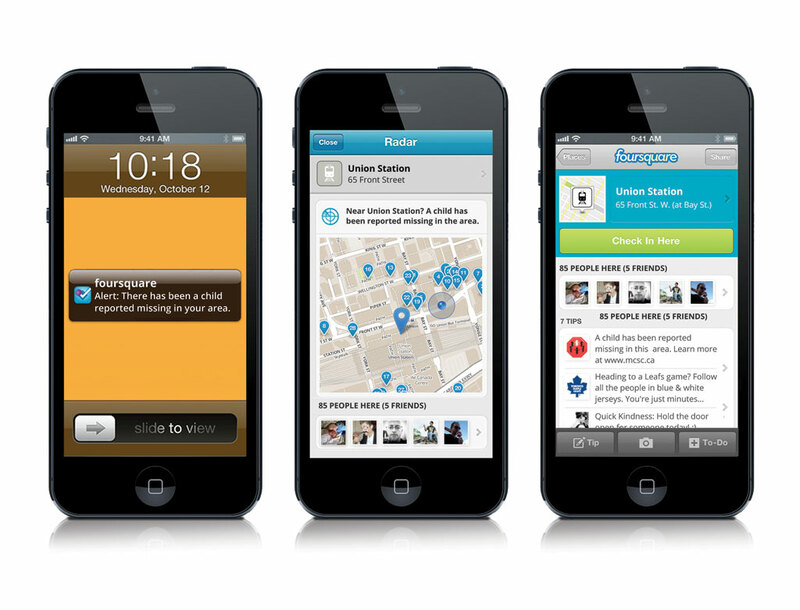 The ‘World’s Most Valuable Check-In’ is a mobile tool that sends an alert to people at Foursquare locations closest to where a child abduction has taken place. The first 3 hours of a search are the most critical. We could now help authorities locate the child faster before the kidnapper got too far away. Results: Directly responsible for assisting in the rescue of 6 missing children in the first 5 months alone.